The Boston Bruins are coming off one of their most successful regular seasons in recent memory. 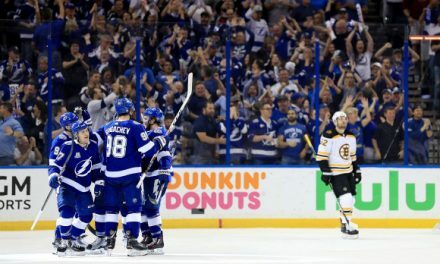 What made them so good was how well their young players such as Charlie McAvoy and Jake DeBrusk performed. Their veteran players also performed well and were mentors to the Bruins younger players. 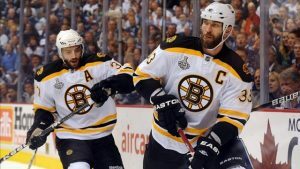 Next season veterans such as Patrice Bergeron, David Krejci, and Zdeno Chara will be counted on again. Keeping them healthy will be key as all three missed time last season. There are no guarantees over the course of a full season as injuries are part of the game but the Bruins will try their best. 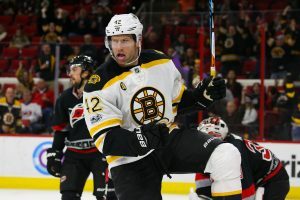 During the 2017-2018 season, Bergeron, Chara, Backes, and Krejci all missed at least nine games. Marchand also missed significant time which was partly due to suspensions. Of that group, Bergeron was the only one to begin the 2017-2018 campaign injured. This season he will start camp healthy which is key at his age. In only 64 regular season games last year he still managed to record 63 points. Before last season he averaged 80 games a year and starting the season healthy should help him return to that number. He is still one of the best centers in the NHL and affects the game in more ways than one when healthy. 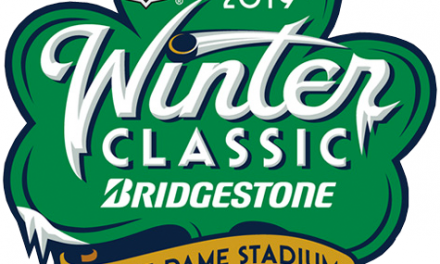 Zdeno Chara- Chara is the oldest player on the Bruins roster. Last year he still managed to be the Bruins best defenseman despite his age. The Bruins were able to limit his minutes which kept him fresh. Having Charlie McAvoy as his partner again will also take some pressure off the Bruins captain. Last year he appeared in 73 games his lowest total since the 2014-2015 season. Keeping Chara healthy is not a priority just because of what he does on the ice but also for mentoring the Bruins next wave of talent. 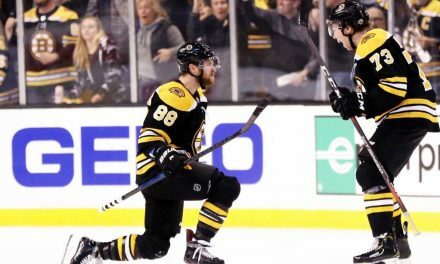 He has not only been a mentor for Charlie McAvoy but other Bruins defensemen such as Brandon Carlo and Matt Gryzelcyk. The Bruins will again look to limit their captains minutes when they can as he is not easy to replace. David Backes- Last season Backes appeared in 57 games his lowest total since the 2012-2013 season. Since signing in Boston he has been a disappointment given that he is making 6 million a year. Last season injuries didn’t make things better especially since some were just bad luck. In order for Backes to bounce back, he will have to stay healthy. Before signing in Boston he was averaging 50 points a season. Returning to those numbers would improve the Bruins depth and in particular their third line. David Krejci- Last season Krejci appeared in 64 games and only recorded 44 points. He meshed well with Jake DeBrusk on the Bruins second line. When Krejci is healthy he has the ability to be the Bruins second best center. He is not a thirty goal scorer but has great vision and has had over 40 assists four times in his NHL career. His health was the main reason for his drop off in production. He has been involved heavily in trade rumors this offseason due to his contract. 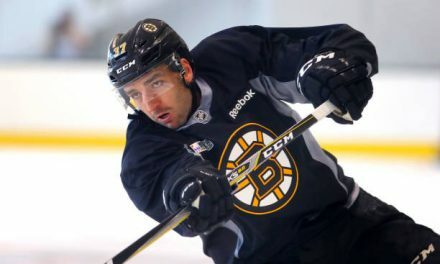 Keeping him healthy is key for the Bruins second line and like Backes, he will be looking to bounce back this season. Staying healthy is not easy for any player and in particular veteran players. The Bruins well need their veteran players to build on what they accomplished last season. They affect the game in different ways and have their own unique impact. If they can stay healthy then building off last season’s success should not be difficult for this team.